Friends Located In Alaska & Hawaii, Please Call 877-873-8838 For Shipping Options. 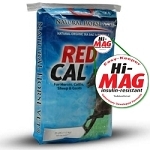 It's Like RED CAL For You! Dr. Dan's revolutionary original REDOXX formula is going to give your body support and nutrition that it simply can't get from anywhere else! 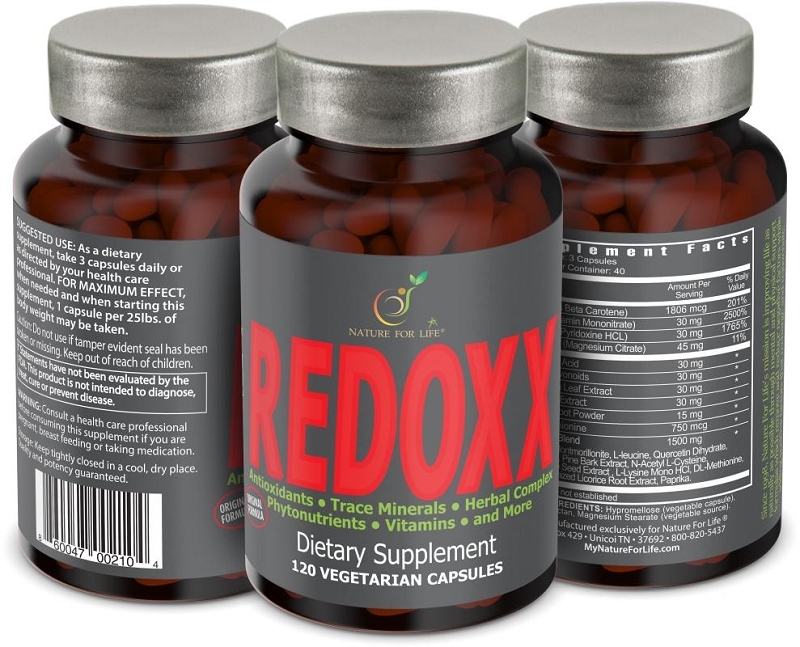 Being loaded with antioxidant factors, trace minerals, vitamins, phytonutrients, an herbal complex and more, makes REDOXX an incomparable multi-beneficial product. 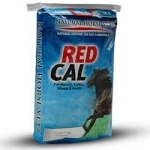 Like RED CAL for your horses, REDOXX features the prized ingredient CALCIUM MONTMORILLONITE CLAY- an ancient pristine rich source of healthy salt, minerals and other trace elements. Often referred to as "living clay" because it consists of minerals that enhance the production of enzymes in all living organisms. Benefits of calcium montmorillonite minerals have been documented in research conducted by many scientists and leading universities. 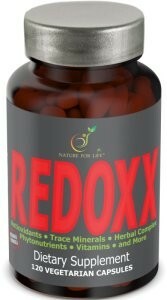 REDOXX offers liver support like an oil filter keeps the engine of your vehicle clean. Like an engine,the liver is the boss of your body and needs the extra support against today's environmental factors. 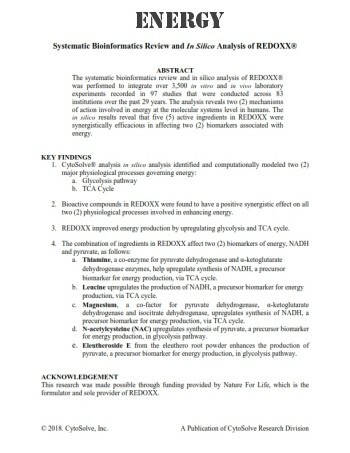 With calcium montmorillonite and REDOXX's additional antioxidant properties working synergistically with other important ingredients, you have a product that in the words of Dr. Dan..."no one should be without". A class of phytochemicals, that quench the highly reactive single oxygen molecule. It is especially know for decreasing the risk of cataracts and macular degeneration. Also, shown to be very synergistic with Lipoic acid, Vitamin C & Vitamin E.
Enhances circulation and assists in blood formation, carbohydrate metabolism and the regulation of hydrocloric acid necessary for proper digestion. Thiamine optimizes brain function as well as learning capacity and as a potent antioxidant, it helps protect the body from the degenerative effects of aging. The high carbohydrate American diet increases the need for B1. Involved in more bodily functions than almost any other single nutrient. 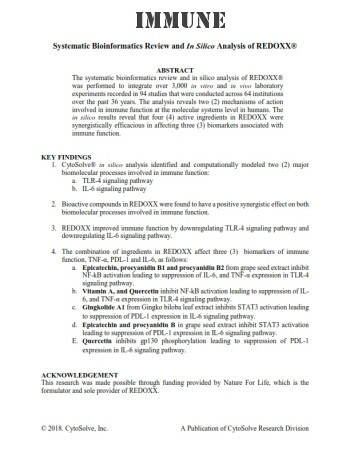 B6 especially plays a role in cancer immunity and aides in the prevention of arteriosclerosis and heart disease by inhibiting the production of homocysteine. 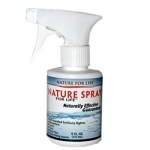 It may be helpful in the treatment of allergies, arthritis and asthma as well as, carpal tunnel syndrome. A cofactor in more than 300 enzyme systems that regulate diverse biochemical reactions in the body, including protein synthesis, muscle and nerve function, blood glucose control, and blood pressure regulation. Magnesium is required for energy production, oxidative phosphorylation, and glycolysis. A powerful antioxidant that aids in both detoxifying and protecting organs, but specifically the liver and pancreas. Because it is water and fat soluble, it will reach many cells that other ingredients wont. It is essential in cellular energy production and is used extensively in Germany to enhance liver function and treat diabetes. 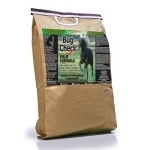 Often called Vitamin P and not produced by the body, biofavinoids are essential in the diet. Its reported to promote circulation, lower cholesterol, and treat and prevent cataracts. Quercetin is a biofavonoid, and like other bioflavonoids, it has been shown helpful in the treatment of injuries and allergies. Ginko is an herb with powerful antioxidant effects on the brain, retina and cardiovascular system. A study in the Journal of American Medical Association shows a measurable effect on Dementia and both long and short term memory. Ginko has also been shown to be helpful in macular degeneration. Grape seed extract is an industrial derivative of grape seeds. It is rich in antioxidants and oligomeric proanthocyanidin complexes and has been linked to a wide range of possible health benefits. Also known as Siberian Ginseng. it is used throughout the world as a general tonic to combat weakness and give extra energy. It has been shown in research to decrease cortisol levels and also that it may be helpful in inflammatory diseases. Other potential benefits are too numerous to mention. An organic form of selenium, it is an essential amino acid that assists in the breakdown of fats - especially that in the liver and arteries. Also reported to detoxify the liver and detoxify the body of lead and other heavy metals. As a building block of all protein, it is especially essential for proper growth and bone development in children. It likewise, helps diminish muscle weakness, prevents brittle hair and nails and protects against radiation, osteoporosis and chemical allergies. It is not synthesized by the body and is therefore essential that it be provided in the diet. Lysine is also an essential amino acid and a necessary building block of all protein. It likewise, aids in the production of antibodies, hormones, and enzymes and helps in collagen formation and tissue repair. It is great for building muscle protein and often suggested for use in recovery from surgery and injuries. 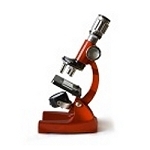 It has been shown to lower serum triglyceride levels. Extracted from the seeds of milk thistle, it has been used for centuries to treat liver disease. It guards the liver from toxins, drugs, and the effects of alcohol, and helps promote the growth of the liver cells. It also has been shown to increase levels of glutathione. 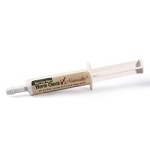 Shown clinically to fight inflammation including viral, bacterial and parasitic infections. Also stimulates production of interferon and may help with ulcers by increasing the mucus secreting cells in the digestive track. Reported to be beneficial for allergies, asthma, chronic fatigue, depression, PMS, menopausal symptoms and upper respiratory problems as well. One of the most powerful antioxidants ever discovered. 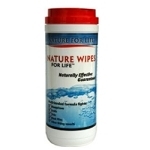 (NAC) is used by the liver and blood cells to detoxify chemicals and poisons. It is a powerful detoxifier of alcohol, tobacco smoke, and environmental pollutants, all of which suppress the immune system. Supplementation with NAC may also decrease both the frequency and duration of infections and has been used to treat AIDS and chronic bronchitis. As a dietary supplement take 3 capsules daily or as instructed by your health care professional. 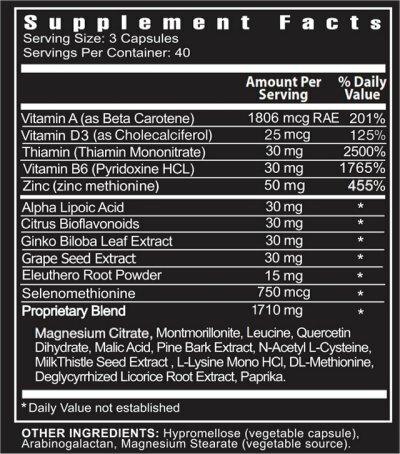 For Maximum Effect: When needed and when first starting with this supplement; One (1) capsule per 25 lbs.of body weight may be taken. 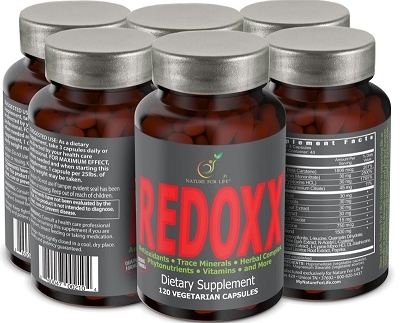 "REDOXX (rhymes with detox) is awesome... It is going to give your body nutrition that it simply can't get from anywhere else. The minerals in it come from the desert that zillions of years ago was an ocean. That ocean was preserved by a volcano. That volcano has protected it from all of man's pollutants ever since AND apparently based on what we are seeing the volcanic ash .. the very dirt or clay itself...from deep within the EARTH... is providing something that man can't even explain yet. There are probably even nutrients that man hasn't even discovered yet! We have added some other nutrients KNOWN to be beneficial for all sorts of conditions.. BUT until you get the minerals right.. nothing else really matters!" 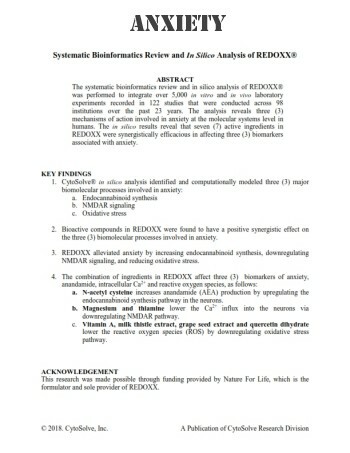 If I was stranded on a desert island, REDOXX is the one product I would not want to be without".